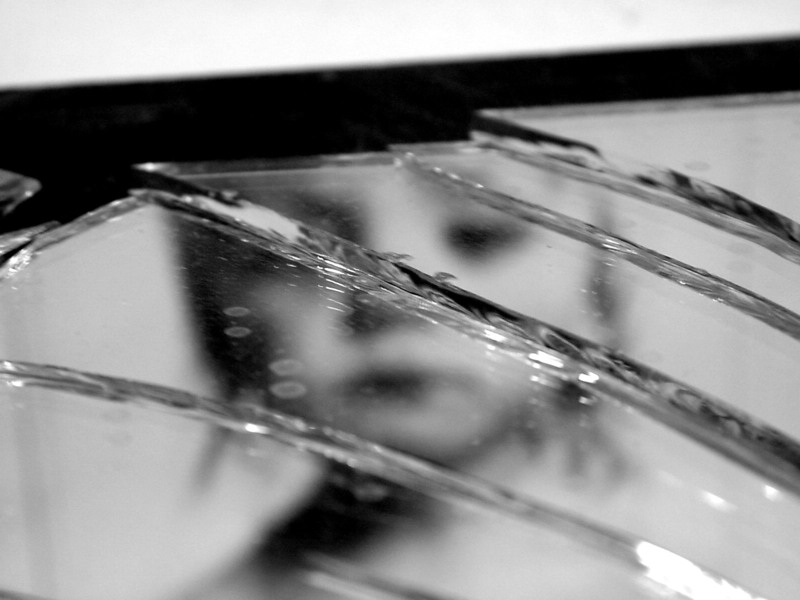 Have you ever received the full penalty of seven years bad luck when you broke a mirror? Do you ever wonder who made that up? Originally, the idea of 7 years bad luck from breaking a mirror came to us from the Romans. They held the belief that the life cycle of the soul was refreshed every seven years. The thinking of the time was, if your personal image was distorted in a mirror it would reflect directly on the soul and it would take the entire seven years for the physical body to renew the soul and have it be new and complete again. Breaking a mirror meant life was to become a string of unfortunate events as the distorted vision would reflect the broken life. Until time healed the user and the curse was lifted. You know the life expectancy back then was only between 25 and 35 years of age. Just think, if you broke a mirror you could have bad luck for 1/5th of your life. If it were me I think I would have stayed with the reflective piece of metal or the reflection from water rather than take the risk of seven years of bad luck. and what would happen if you broke two mirrors, the ramifications could determine the best years of your life. Actually, now that I am getting older looking in the mirror has lost much of its interest. Seems once a day is enough to keep everything I need to know about satisfactorily in place. If not someone will likely tell me something is askew and I can readjust as needed. So does breaking a mirror really cause bad luck? I actually haven’t broken that many mirrors and my experiences in life have never offered me seven consecutive years of bad luck, personally I think not. I have a friend that tells me luck is what you make of the opportunities being presented at any given time. If you are looking for bad luck you will likely manifest just that. If you are looking for good luck be prepared, situations in life will arise and you must be prepared to take advantage of them. Bad luck is just a missed opportunity to turn a situation around. I like this thinking and tend to imagine the best of situations. It seems to me mirrors have been the recipient of a lot of bad press over the centuries.